Gas detection control unit for measurement of flammable and/or toxic gases as well as oxygen. Smoke detectors as option. Graphic display. Menu guided configuration. 3 Alarm levels per channel. 12 freely configurable relays. Analog outputs 4…20 mA (only ET-4DA2). 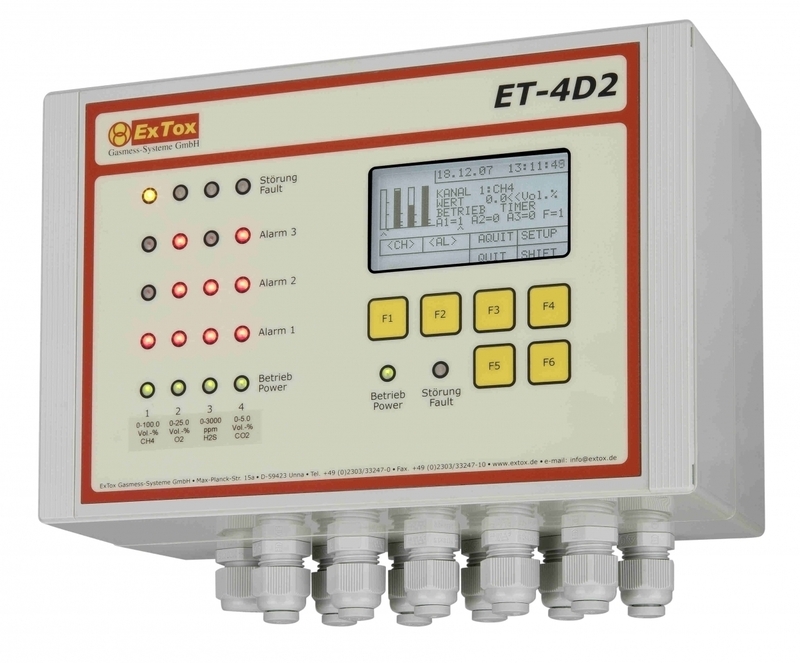 Our control units in combination with the ExTox Transmitters comply with the requirements of EN 60079-29-1, EN 45544-1 to EN 45544-3 and EN 50104 for Gas Detection Systems. Furthermore are those in conformity to the European Directives 2014/34/EU (ATEX), 2014/30/EU (EMV), 2014/35/EU (LVD).